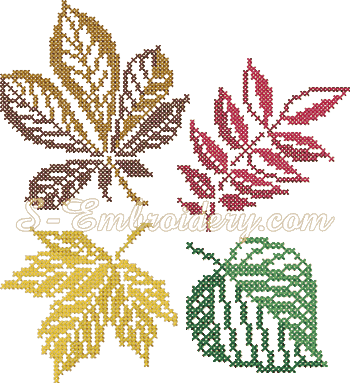 A set of 4 autumn leaves in cross stitch technique. Each design is available in 2 sizes. You receive 8 machine embroidery files and a color chart in PDF format.